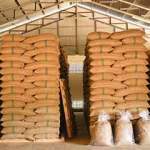 Pollards Wholesale Ltd have been coffee roasters and wholesale coffee suppliers since the company was first established in 1879, based in Sheffield, UK. 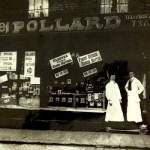 The Pollards brand is, and always has been, a family owned business. 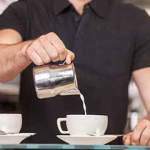 We proudly supply a variety of cafes, restaurants, bars and coffee shops throughout the UK. Providing customers with everything from tea and coffee, to equipment and training. As a company we take pride in our selection of wholesale coffee beans, wholesale tea, coffee shop supplies and commercial coffee machines. You can read a little more about Pollards on the History & Ethics page. We have perfected our in-house coffee roasting and blending over many years, creating some of the best tasting coffees on the market. Pollards are always looking to create exciting new blends and experiment a lot. We like to help businesses source the best products for their customers. Our staff are all very experienced in the coffee and roasting industries and we always look to the next generation by training our staff. More recently we have been implementing apprenticeships in our roastery. You can read more about our coffee roasters on our Roastery page. Pollards serves coffee shops, cafes, bars and restaurants in many cities across the UK. 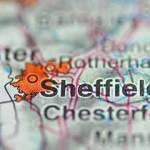 The cities we supply include: Sheffield, Leeds, Manchester, Birmingham, Rotherham, Barnsley, Doncaster, Bradford, Wakefield, Huddersfield, Chesterfield, Nottingham, Derby and more. We are currently making some improvements to our marketing, as we didn’t market our brand properly before. We have set up social media pages, (Facebook, Instagram, Twitter), and are expanding our blog pages over the next few months too! If you have any questions, please have a look at our FAQs. If that doesn’t help or you have any more questions please get in touch using the contact form or call us on 0114 261 7517.